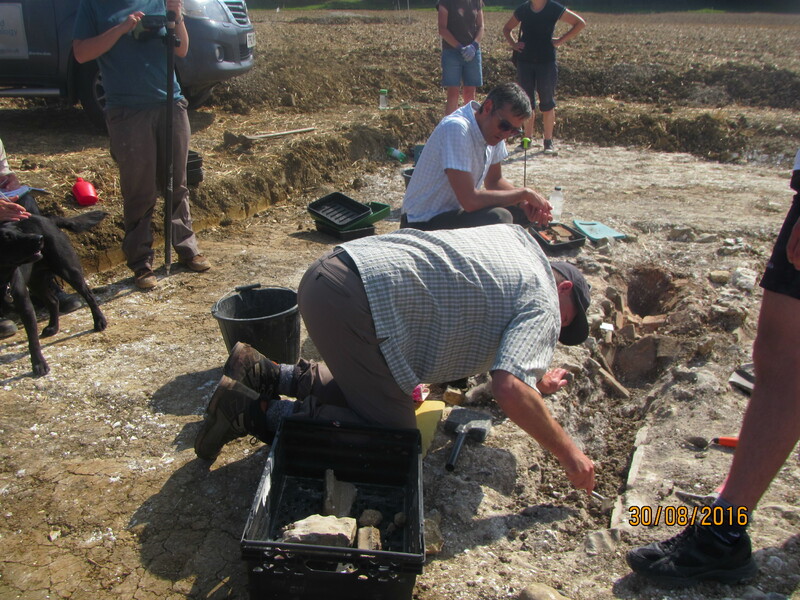 After a well earned rest day on Bank Holiday Monday, everyone was back to try to uncover the mystery of the little Roman building. 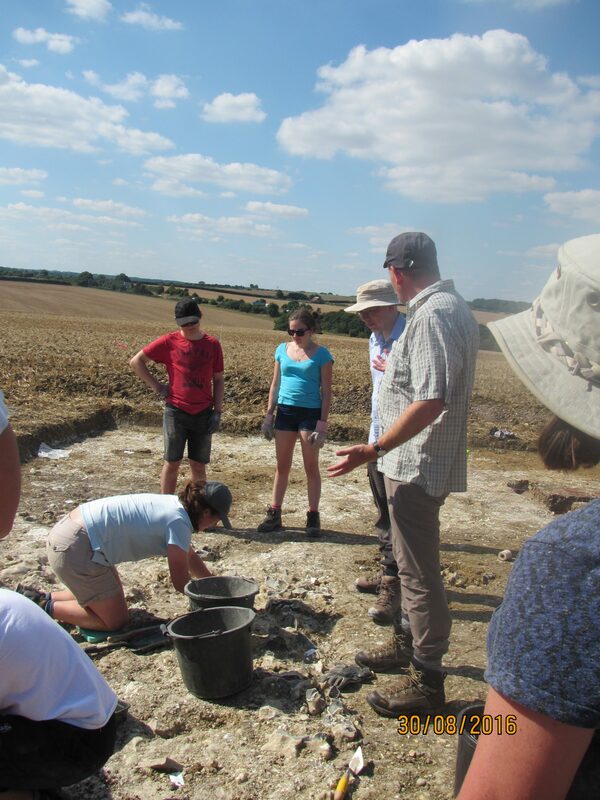 Neil Holbrook, ex Time Team and now Director of Cotswold Archaeology paid a visit. He was as mystified as the rest and described it as a weird little building! Guess we will have to wait until it’s fully excavated to discover its use! And then he lent a hand!